We've already had 10039 updates since Dolphin 5.0. Keep up with Dolphin's continuing progress through the Dolphin Blog: Dec/Jan Progress Report. 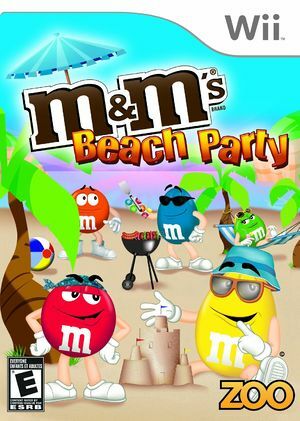 Your favorite candy characters are serving up summertime fun in M&M's Beach Party! Get on your feet and compete in six unique and physically challenging games like the Kayak Race, the Mr. Runch Slam, and Skee-Ball! What day at the beach would be complete without Beach Volleyball? Bump, set, and spike your way to victory during a full-length volleyball game! The graph below charts the compatibility with M&M's Beach Party since Dolphin's 2.0 release, listing revisions only where a compatibility change occurred. This page was last edited on 13 January 2018, at 12:36.